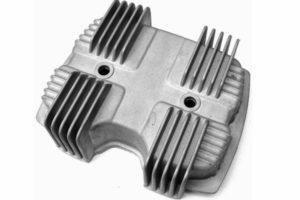 As a professional metal casting manucaturer in China, we offer aluminum die casting services for many years.The above sample are aluminum die casting housing for motorcycle engine. We made it according to customer’s drawing.We not only production the parts,but also offer one-stop serives and solution on your casting parts. Aluminum castings have different methods in different places, such as aluminum die-casting parts, die-casting aluminum parts, die-casting aluminum parts, die-casting aluminum, aluminum castings, aluminum alloy die-casting parts, etc. Because of the good fluidity and plasticity of the metal aluminum and the aluminum alloy, and the casting process is made in the pressure die-casting machine, the aluminum die casting can make all kinds of more complex shapes, and also make high precision and finish, which greatly reduces the mechanical processing amount of the casting and the aluminum or aluminum alloy. The casting allowance of gold not only saves electric power, metal material, but also greatly saves labor cost, while aluminum and aluminum alloy have excellent thermal conductivity, small proportion and high machinability, and aluminum die casting is widely used in automobile manufacturing, internal combustion engine production, motorcycle manufacturing, motor manufacturing, oil pump manufacturing, and transmission. Mobile machinery manufacturing, precision instruments, landscaping, power construction, building decoration and other industries. Motorcycle engine parts. Motorcycle spare parts. We are a real factory that is professional on die casting, both die casting moulds and die casting parts.